Combined efforts from Mote, Combat Wounded Veteran Challenge, and the SCUBAnauts, planted 500 Stagorn Coral on Hope Reef on Tuesday, June 27th, 2017. 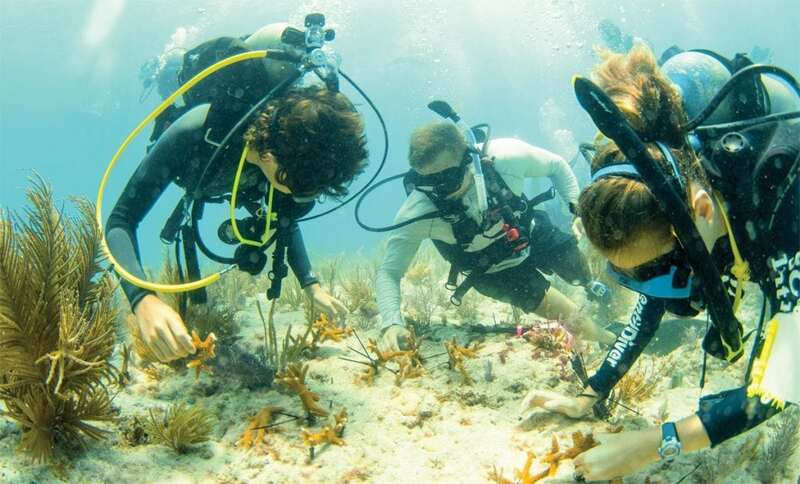 On a Mission: Heroes plant 500 corals in a single day assist in coral restoration. Stellar scientists, hero veterans and future leaders recently planted 500 corals near Looe Key in the Florida Keys, marking the sixth year of a unique partnership involving science, conservation and coral restoration. 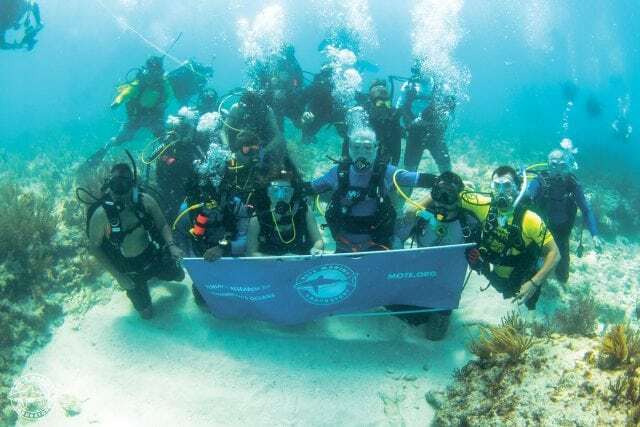 Members of the Combat Wounded Veteran Challenge (CWVC) and SCUBAnauts International joined forces with scientists from Mote Marine Laboratory on June 27th for the record-breaking mission on the reef. The number of corals planted marked the most-ever the groups have planted in a single day since they began working together in 2012. In total, they have planted more than 1,600 corals in an area unofﬁcially named “Hero’s Reef” honoring all current and former members of the U.S. Armed Forces. CWVC improves the lives of wounded and injured veterans through rehabilitative, high-adventure and therapeutic outdoor challenges while furthering the physiological, biomedical and pathological sciences associated with their injuries. The veterans who participate in the outdoor challenges have suffered from traumatic brain injuries, Post-Traumatic Stress Disorder (PTSD) or have lost limbs. SCUBAnauts International involves teens in the marine sciences with intensive dive and science training. Through its partnerships with universities and research organizations, SCUBAnauts learn to take charge as they work on innovative projects that positively impact our oceans, such as this coral restoration. Ten years ago, Mote established an underwater coral nursery where scientists grow colonies of the threatened staghorn coral (Acropora cervicornis) for replanting and coral restoration on decimated or damaged sections of reef within the Florida Keys National Marine Sanctuary. When the colonies reach a suitable size, small fragments (nearly 2 inches long) are snipped off and used to create a new colony—similar to the way new plants are grown from cuttings of existing plants. These cuttings are then mounted on the reef so they can grow and develop into new colonies. Mote has more than 10,000 colonies of staghorn coral in its underwater nursery, including more than 85 genotypes, allowing researchers to determine which corals have the heartiest genetic makeup and the best chances of survival. To date, Mote has planted more than 40,000 reef-building coral fragments to help restore Florida’s reef. Mote is also working on a new coral micro-fragmenting technology that is enabling the organization to regenerate larger reef-building boulder corals on the reefs. Mote’s goal is to continue working in partnership with these and other groups to plant more than a million corals. 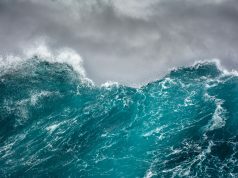 Liked this story? 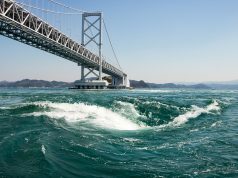 You can find more environmentally friendly Sea Watch Stories here.